The red dots are my original data and the blue line is the multi segment bezier created by the algorithm by Schneider. 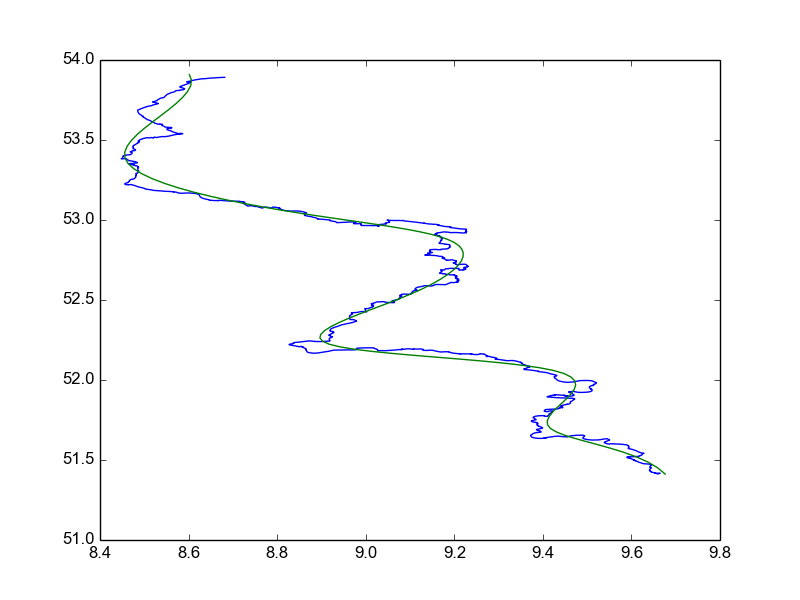 As you can see, the input to the algorithm was a tolerance which is at least as high as the green line indicates. Nevertheless, the algorithm creates a bezier curve which has too many sharp turns. You see too of these unnecessary sharp turns in the image. It is easy to imagine a bezier curve with less sharp turns for the shown data while still maintaining the maximum tolerance condition (just push the bezier curve a bit into the direction of the magenta arrows). 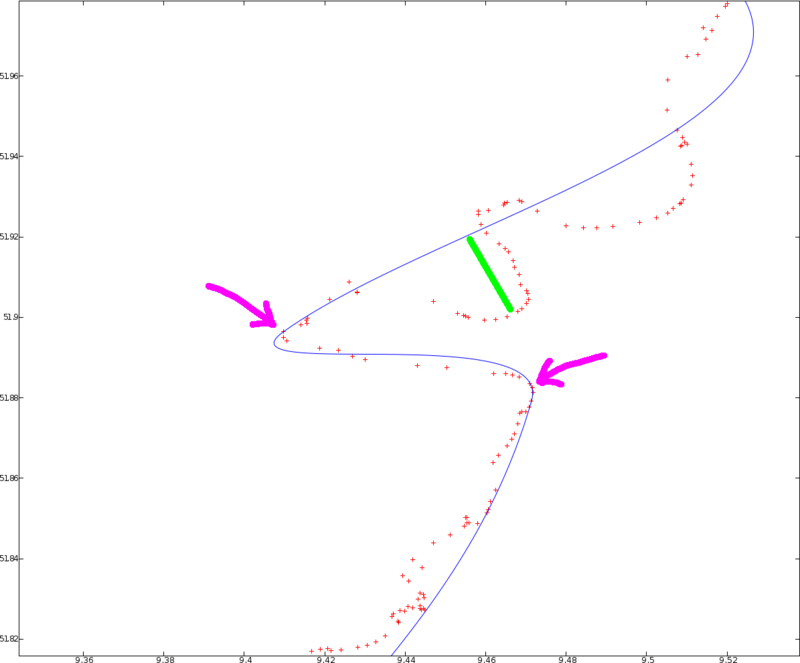 The problem seems to be that the algorithm picks data points from my original data as end points of the individual bezier curves (the magenta arrows point indicate some suspects). With the endpoints of the bezier curves restricted like that, it is clear that the algorithm will sometimes produce rather sharp curvatures. The solutions I found which create better fits sadly either work only for single bezier curves (and omit the question of how to find good start and end points for each bezier curve in the multi segment bezier curve) or do not allow a minimum curvature contraint. I feel that the minimum curvature contraint is the tricky condition here. Lets suppose that figure one shows both, the curvature constraint (the circle must fit along the whole curve) as well as the maximum distance of any data point from the curve (which happens to be the radius of the circle in green). A successful approximation of the red path in figure two is shown in blue. That approximation honors the curvature condition (the circle can roll inside the whole curve and touches it everywhere) as well as the distance condition (shown in green). Figure three shows a different approximation to the path. While it honors the distance condition it is clear that the circle does not fit into the curvature any more. Figure four shows a path which is impossible to be approximated with the given constraints because it is too pointy. This example is supposed to illustrate that to properly approximate some pointy turns in the path, it is necessary that the algorithm chooses control points which are not part of the path. Figure three shows that if control points along the path were chosen, the curvature constraint cannot be fulfilled anymore. This example also shows that the algorithm must quit on some inputs as it is not possible to approximate it with the given constraints. Does there exist a solution to this problem? The solution does not have to be fast. If it takes a day to process 1000 points, then that's fine. The solution does also not have to be optimal in the sense that it must result in a least squares fit. In the end I will implement this in C and Python but I can read most other languages too. If I want the curve more smooth, then I can increase the s parameter to splprep. If I want the approximation closer to the data I can decrease the s parameter for less smoothness. By going through multiple s parameters programatically I can find a good parameter that fits the given requirements. """Convert a parametric b-spline into a sequence of Bezier curves of the same degree. tck : (t,c,k) tuple of b-spline knots, coefficients, and degree returned by splprep. per : if tck was created as a periodic spline, per *must* be true, else per *must* be false. A list of Bezier curves of degree k that is equivalent to the input spline. points, and the endpoint, where each point is of d dimensions. # parametric splines. Oh well. # creating a set of independent Bezier curves. it is the change of direction of the 'lines' where you hit local min or max there is your control point ... Do this to reduce your input data (leave just control points). this ensures that position and first derivation is continuous (c1) and also you can use BEZIER but it will not be as good match as this. Not the answer you're looking for? Browse other questions tagged python c algorithm bezier approximation or ask your own question. How can I fit a Bézier curve to a set of data? How can i produce multi point linear interpolation? 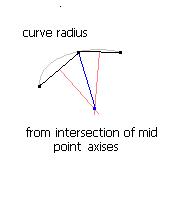 Cubic Bezier Curve: Maximum Gradient and Collision Avoidance? How to generate a mesh between 2 random points using pathfinding and avoiding obstacles in Unity?